In this day and age, with the amount of competition out there, it is EXTREMELY important to find the right people to help you grow your business. Plus, they have to possess a certain set of skills that will allow them to manage your business. In this post I’ll give you some tools that can help you out in the process of recruiting franchisees. Before, looking for a franchisee had a more “passive” approach: you’d post an add or create a profile for your franchise in a job board and hope for some fish to take the bait. But now, there are tools out there that can help you refine your recruitment process! With them you can get more involved in the strategy, which can result in a better franchisee selection! Plus, if used correctly, you can save time and money in your recruitment plan! Now, one thing I would like to stress is that these tools can be a way to improve and complement your recruiting strategy but that in no means do I advise you to stop using job boards to hire new people! Job boards and listings work to some extent and by combining them with these tools, you’ll have a wide range of well equipped franchisees to choose from. Before we start out with the tools, it’s a good idea to take care of how you’re reaching out to people and the message you should be giving. This goes without saying: the way you approach prospective franchisees is crucial! That first contact practically lays out the kind of business you’re running and the type of collaborator you are. For example, tone is a big part of a message: you may want to appear accessible so it’s a good idea to be friendly and not patronizing in your writing style or in the general way you address people. At the same time, and while it’s true that you’re trying to convince people to become part of your team and that you should highlight its best assets, you need to be mindful of the information you present. This means real numbers, a clear idea of what is expected of them and what you offer. Of course, some of this will be covered later on in the selection process, but an overview never hurts! Remember to speak with the truth since, by not doing it, people may feel deceived and they may even spread the word about how you’re not trustworthy. On the other hand, some of these tools enable users to question or reply to your posts so be sure that you’re open minded and polite when answering. Nothing throws people off like a rude person that doesn’t take into consideration their opinion! So be mindful of this when interacting with others. Ok, now let’s move on the substantial part of this post: the actual tools! By combining these efforts, you’ll be able to create a new recruiting strategy that will let you search for franchisees actively. Again with the social media! People use social media to connect and communicate so you should too. One of the big ones is LinkedIn which is made specifically for professionals to network! In it you’ll be able to post job adds, join discussion groups in your industry, connect with other professionals AND even search through your prospective franchisees to see their experience later on. EVERYBODY uses Facebook and it can also be used for recruitment purposes but to a smaller extent. The thing is that it’s a platform for social relationships, not so much on the professional aspect. Still, there are applications within Facebook (like BranchOut) that provide a professional networking solution to that problem. So, to sum it up, LinkedIn has a more targeted audience but you’ll be able to find more people in Facebook. To that note, a combined strategy may be best for you! Instead of just posting a written add, a video or informative webinar can be an awesome alternative. Through them you can show your business’ personality (which can, in turn, be more compelling and interesting to the potential franchisees). You can even do a creative and fun video (with the right information) that attracts and informs a franchisee lead. With them, you’ll be able to create a call to action that is different from what’s out there. Give it a little spin and make sure that your message is clear, concise and truthful! 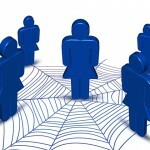 Forums are a great tool to reach a certain audience and start a discussion between a group of people. Through it, others will be able to see your business AND reply (ask questions, add comments, etc.) As you may know, feedback is a key ingredient in any communication process. The immediacy of a forum can help you answer their doubts! Plus, there are a lot of forums out there that specialize in a specific vertical so you’ll be sure to find on that makes sense for your business! Remember that people in forums are experts in the area and will more likely be very engaged with their community so, again, it’s best to send a clear message. Be assertive and receptive to the opinions and even complains that may emerge in the forum as to not clog the communication flow! Furthermore, you can use a forum to answer back to questions and even find out more about your franchisee candidates. Just like they get to ask you questions, you can use this opportunity to learn more about them before even scheduling an interview! This is meant to save you money and time so be sure to get the most out of it! There’s only so many times I can tell you that blogging can be the answer to a lot of your problems but, here I go again. This can be an indirect marketing strategy for recruitment! By blogging, you gain an authoritative semblance in a subject which a hopeful franchisee may pick up as a validation that you know what you’re talking about. Moreover, in this day and age, you best believe that if you find an interested person, they’ll probably look you and your business up in the web. It’s only logical since they do have to research your business before converting into a franchisee. Blogging and having your site in optimal condition, you’re showing them what it’s all about. Leading by example will let them know how you handle your business and will give them a better idea of what they’re in for! If you need some help in this subject, check out these posts: Content Solutions for Your Franchise, Content Ideas for QSR, Professional Services and Cleaning/Restoration franchises. Reaching out to people before recruiting them to your company is essential: they can learn more about you and you can learn more about them. This can lead to better decision making in both parties, which can, in turn, save you time and money! With the tools available today you can take a step forward in the recruitment process and actively search for those who will do your business right. So, if you’re looking to grow your franchise (like everybody is) remember that, aside from the service you provide, people are your biggest asset so make sure you’re going after the right kind! Have any questions regarding this post or Empowerkit? Feel free to ask!